If you thought it wasn’t possible for Jezza to exceed his already near god-like status in the eyes of us liberal americana types, the photo below just goes to confirm that he really is the cat’s pyjamas. The screenshot from a recent TV interview with JC demonstrates that he has, apart from great politics, also impeccable reading taste. 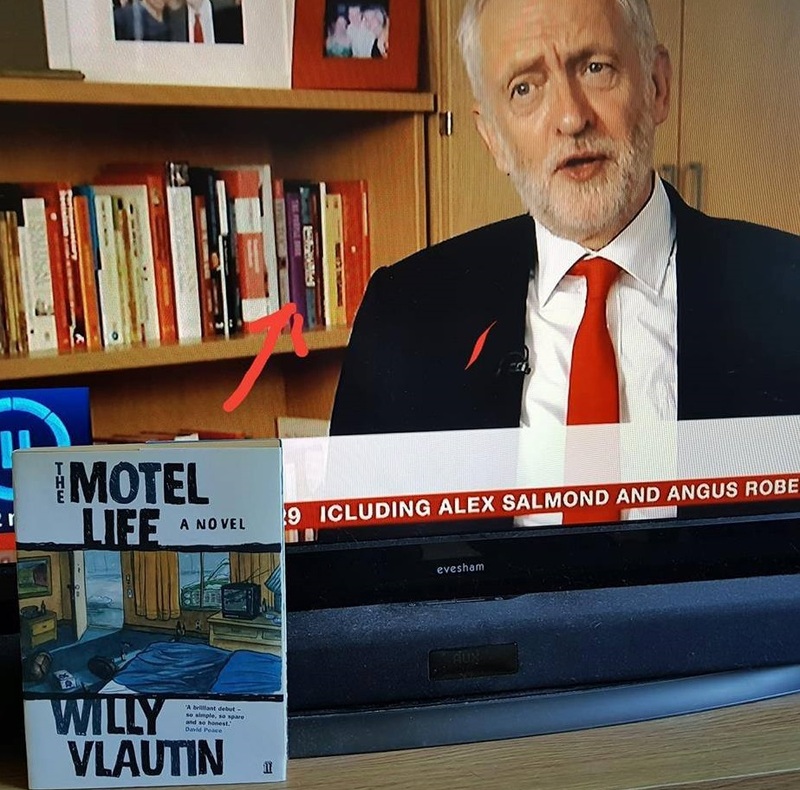 With a copy of Richmond Fontaine’s frontman Willy Vlautin’s debut novel The Motel Life apparently nestling among his book collection, Jezza scores ultimate points for coolness. Think, if you could manage to get both Willy and “Oh Jeremy Corbyn” in the same room together – swoon! Jezza is no doubt just as excited as we are at the imminent release of Andrew Haigh’s screen adaptation of Vlautin’s third novel ‘Lean On Pete’. Haigh, who earlier directed critically-acclaimed films such as Weekend and 45 Years, commented, “Willy’s book is unsentimental, honest, and deeply affecting. I’ve thought about Charley Thompson every day since I first read the book four years ago. I’m delighted to bring this adaptation to screen.” No date for the UK release of Lean on Pete has been announced yet, but we’re of course already dreaming of getting an invitation to the premiere and that we’ll see the author himself there. And who knows, maybe even Jezza will put in an appearance? This begins to soften the blow from when we found out David Cameron loved Gillian Welch.